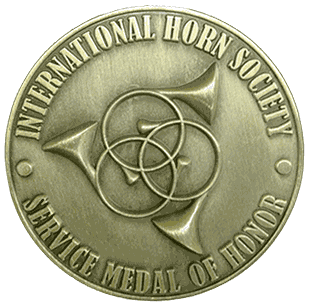 This honor, instituted in 2011, is for individuals who have made a major contribution in service to the International Horn Society. Any IHS member can submit a nomination; nominations are considered at the next Advisory Council meetings. The AC normally awards a maximum of one Medal of Honor in any year, and is not obliged to make an award at all.